Discussion in 'Fulham FC News and Notes' started by MicahMan, Jul 11, 2018. My first impression is "not bad". I didn't look at it and say "I love it!" 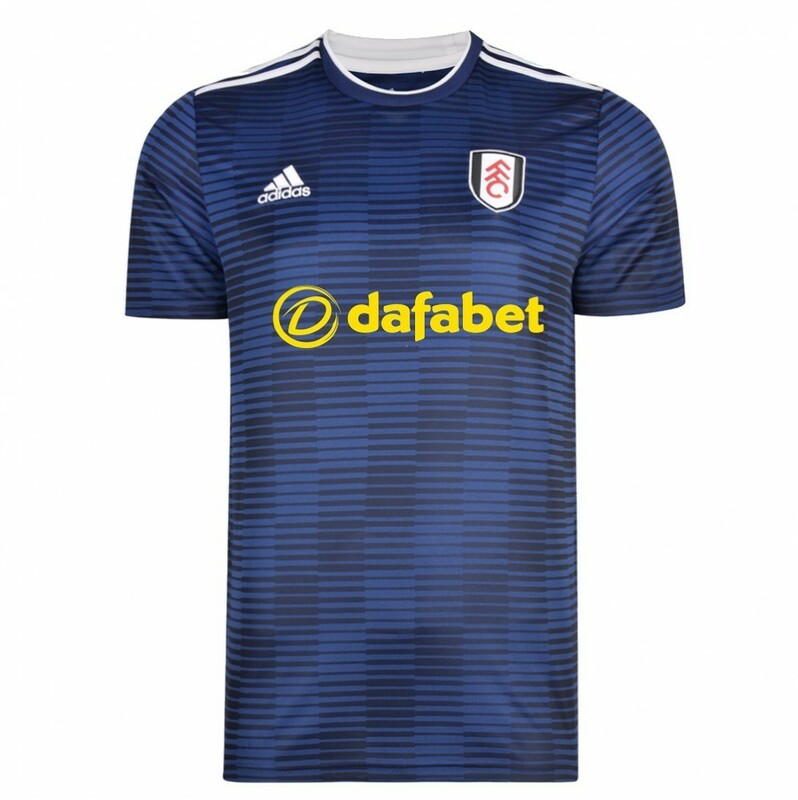 but I also thought the home kit was in line with what I would expect for Fulham. 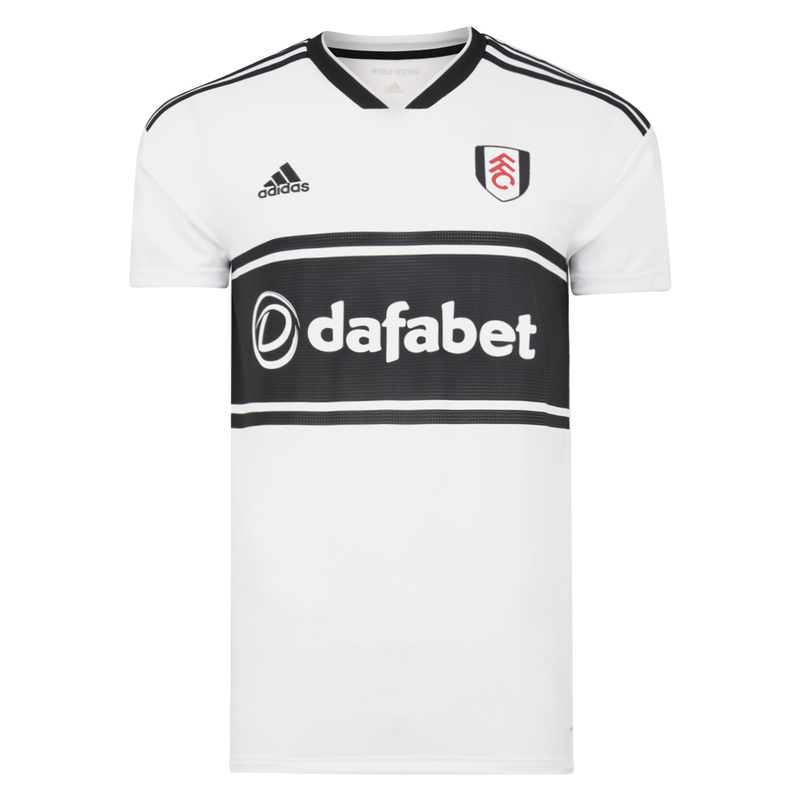 The away kit looks nice, but also doesn't particularly feel like Fulham in any way, very generic - I liked last season's all black away kit. The sponsor logo is certainly more presentable than anyone we've had recently. Acceptable. Not awful. Not "ugh." As long as we win in them, I'm good. I really hate that we always seem to have betting organizations as kit sponsors. Shirt looks solid. HD - instead of this beauty? I can get behind the home jersey. Classic and simple. I like the patterning of the away jersey, but am confounded by the coloring. I could see this as a third kit. The stripes appear to go to the seam on each shirt. It would probably look odd if they didn’t. So why would they make the sleeves different lengths? To be honest, it wouldn't bother me in the least to stick with the reverse color scheme for the away kit, the black jersey, white shorts combo, permanently. It looks good, and solves all manner of potential opposition kit conflict by being interchangeable. But I guess that's too predictable...and boring. But I can imagine it working well with this design. And the sponsor logo would really pop with the white chest stripe/black logo. And about the logo, or, rather, the sponsor being another gambling enterprise, I strongly agree with the right honourable gentleman from the Republic of South Texas. It's unfortunate that it seems to be the way of the world at the moment, and will be for the foreseeable future. Until FIFA decides that it's a bad idea, anyway. The obvious problem is the temptation of a massive match fixing scandal, something that seems to occur every few years or so somewhere. But with so much money at stake, it would seem that the attraction of collusion amongst the gambling kit sponsor coalition would be off the charts. And I suspect FIFA will always be a haven for bribery. I don't know what the answer is, but I fear that it will take a match fixing scheme of historic proportions to get governments involved. We've already put our quarter on the table with 2015-16's arrests and indictments from corruption resulting from the '14 World Cup. But you know the old saying: Money doesn't talk, it screams. It is more the cut of the shoulder than the length of the sleeve. The home jersey uses a drop shoulder cut that moves the seam off the... OMG, WHY DO I KNOW THIS INFORMATION?! BarryWhite, encorespanish and astroevan like this. Blue AIN'T the color. We should NEVER wear blue. Exhibit A: that Europa League final. I just wonder how much influence the kit maker has in such decisions. Obviously they want to sell more units, but I'd be interested to know if the club has any veto power or strikes when they present one that the brass unanimously dislikes. You could also say we wore dark blue away kits the only time we made a Europa League Final. Making it was a far more significant accomplishment than losing it was a disappointment for a club like FFC. That said, I’ve always wanted to see the away kit in red or black. There’s no real reason to stray from those. Gambling sponsors have been around for quite a while and in significant enough numbers without any evidence of match fixing from the teams they’ve sponsored for it to register a concern. Besides, there’s so much legit money out there from other sources, I doubt they could offer enough to influence anyone to chance it. Squaka ranked all 18 new Premier League kits and you'll never guess who finished #1 in the list! Actually, you probably did guess, it's Fulham! That's a bit of a surprise to me given our positive, but short of enthusiastic, response to the kit. I would have given #1 to Liverpool, I like collars on the shirts for some reason. There really are some hideous ones in the bunch *cough* Chelsea *cough* so Fulham certainly did well in comparison. I also found it interesting that bottom ranked Manchester United has a shirt with the exact same cut as Fulham, only the pattern is different but that made a big difference for the reviewer apparently. I like the home kit. My daughter was born in London and I got her some baby kit (a onesie) when we were there but have not bought her anything since. I figured this would be a good time to get her first jersey now we are back in the prem. Maggie, Number 10 on its way courtesy of the Royal Mail. No gracias on the away design. No going back for her now. She may never forgive me or love our unique/ awesome club by the river. I had to do what I had to do!